Know someone who adores coffee and tea time -- not to mention chocolate? 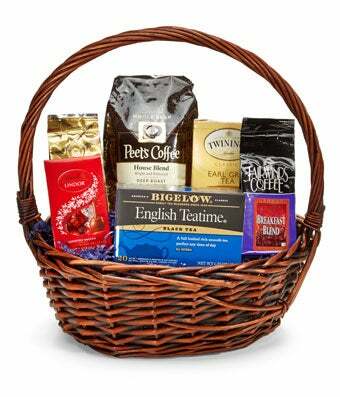 Don't hesitate to send them the Coffee and Tea Treats gift basket! They will love the fine selection of treats delivered to their doorstep. Treats are hand arranged and hand delivered to your recipient in a woven keepsake basket. Make them smile today! Please note: contents may vary.